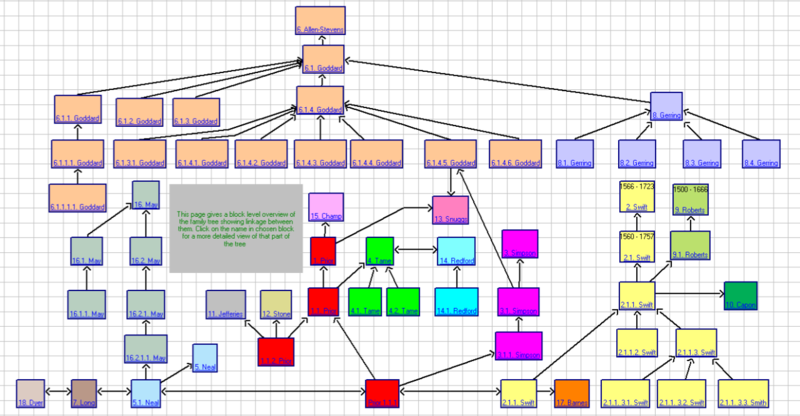 is it possible to use not only one linked persons BUT all other persons (of all other trees) in sub- or meta - trees? 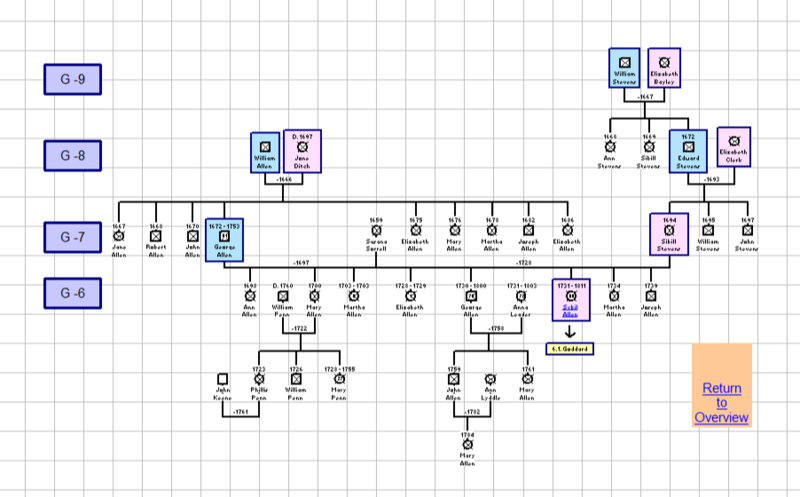 Like in a business process diagramm zoomin into families or generating meta - trees aout of all linked trees?? You may find a technique that I have used useful. I create an 'overview' GenoMap to show how all my other GenoMaps are linked together. I use a dummy individual with 'Make Label / Exclude form Report' option set under Family Tab of Individual Properties dialogue to represent each GenoMap. I also hide the gender symbol for these. The Display Name for these is set to the name of the GenoMap that each represents and are linked via Social Relationships to show how the GenoMaps are related to each other e.g. Note that the Display Name of the dummy individual's hyperlink (bottom right above) is set to the text 'Return to Overview'. This scheme could be extended to add extra levels if required. Any thoughts on what you would do differently if you were doing a village with a lot of endogamy? Say 80 surnames with people marrying into one another's families for centuries, and the occasional emigration and marriage to a person from another village. Seems like it would be a lot of work to create all the links between families. G-6, G-7, etc means Generation-x? Would there be any way to do Social Network Analysis to see which families are more closely related vs others? good idea - thank you. I am going to connect the different FAMILIES with that "connector" to each other family. I really like this organizational structure. I don't know if I'm up to rebuilding my tree, though. I guess I'll see how bored I get.